All peppers are known as capsicums. Sweet peppers are seed pods and can be red, green, yellow, orange, white or purple. Green and red peppers grow on the same plant, it is just that a red pepper is a ripe green one. Yellow, orange, white and purple are different varieties. 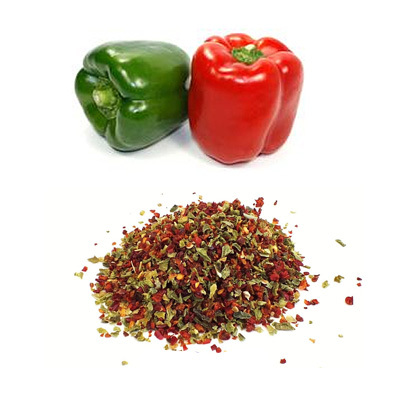 Red and green peppers are by far the most commonly found peppers, although yellow peppers are also becoming widely available. White, orange and purple peppers have a more limited supply. Peppers are sweet and juicy with a mild spicy flavor. Being riper, red peppers are sweeter than green peppers.